A major bottleneck in the field of bioprinting and engineering of three-dimensional (3D) tissues in vitro is generation of a sufficient blood vessel system – vascularization. Present in almost all tissues in vivo, this endothelial cell-coated tubular network is needed to ensure a constant flow of oxygen and nutrients inside the 3D bioprinted constructs. 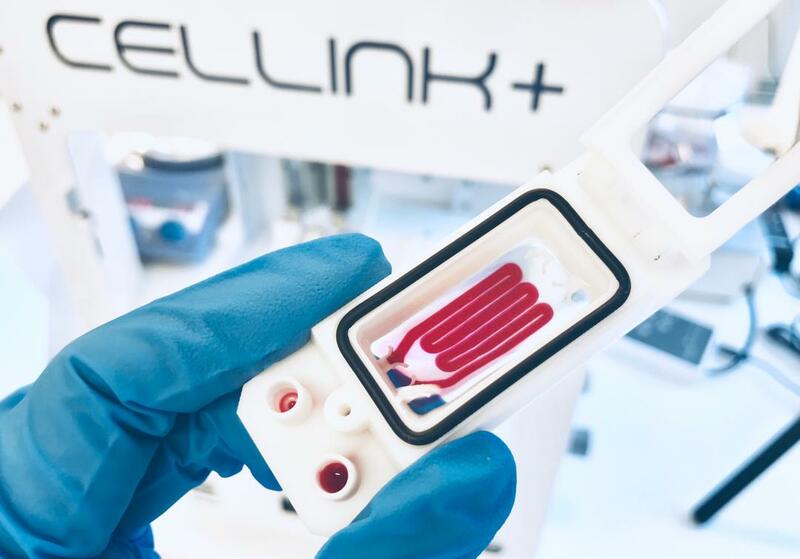 At CELLINK, we strive to create a solution and develop a bioink specifically tailored for vascularization. Our next step is to implement an entirely new system for dynamic cell culture, with CELLINK® VasKit as one of its main components. The aim of the following project is to develop, optimize and evaluate new angiogenesis-promoting bioink. 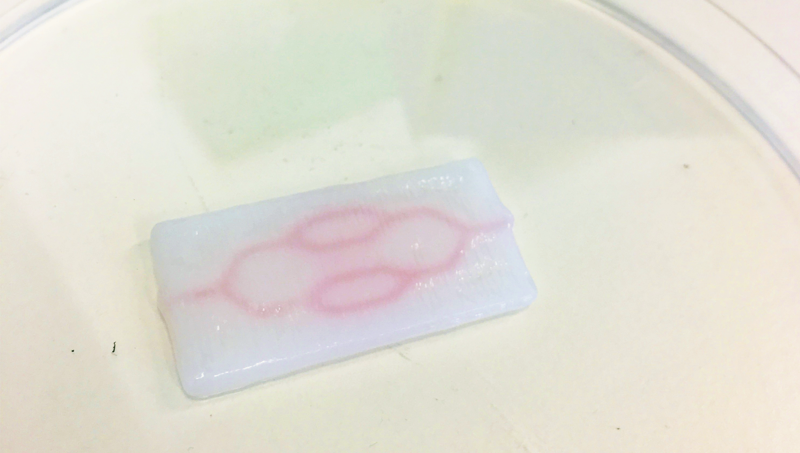 One of the fundamental difficulties in the rapidly evolving field of 3D bioprinting is supplying oxygen and nutrients to cells embedded in bioink, as well as draining their waste products. Up till now, the common practice did not involve precisely regulated exchange of metabolites, but instead it relied on the simple diffusion process in cell culture medium. While the naturally-occurring diffusion is a sufficient mechanism in constructs of low cell density or thin geometry, dense tissues of substantial thickness require a stable microvascular network for exchange of nutrients and metabolic waste. A vascular bioink should provide a 3D environment for cellular processes necessary for the establishment of vascular network. Ideally, it should allow live cell imaging of endothelial cells in different stages of vascular tissue formation, such as formation and connection of sprouts, formation of hollow tube and branching of the network, resulting in functionally perfused vascular bed. Human umbilical vein endothelial cells (HUVECs) are widely used a laboratory model system for the study of angiogenesis. AT CELLINK, we 3D printed HUVECs in co-culture with human dermal fibroblasts (HDFs). The HDFs have a stabilizing influence on endothelial cells and promotes the formation of vascular networks. 3D bioprinted constructs were cultured for 14 days in a static culture. 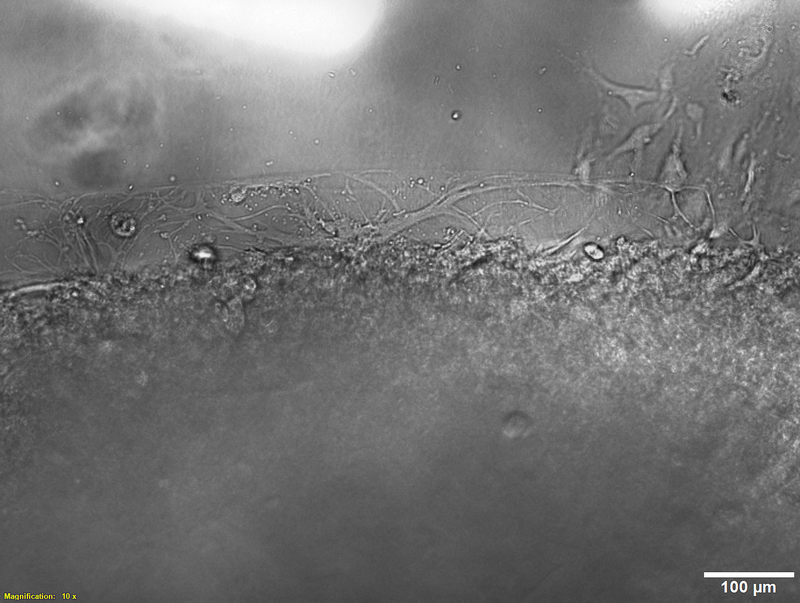 The image beside shows the growth of vascular sprouts at the edge of the bioprinted structure, observed on Day 6 of cell culture. 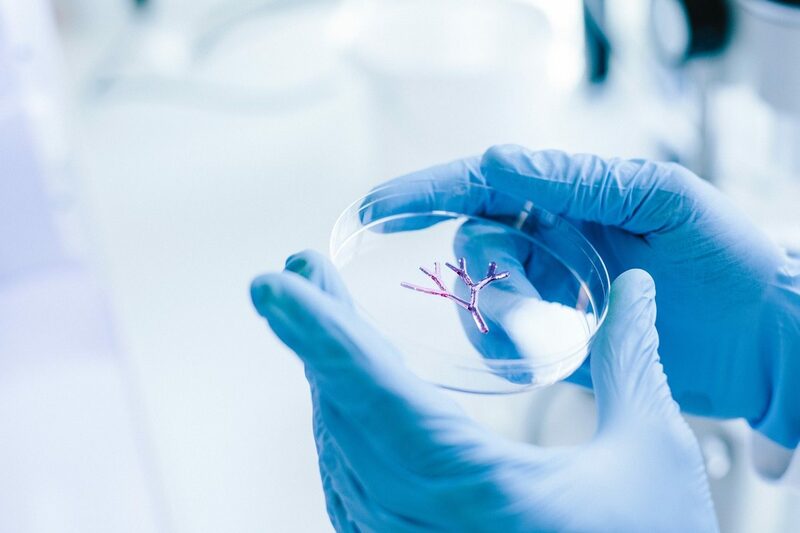 Our tests provide strong initial evidence of extensive endothelial sprout formation in 3D bioprinted constructs. This phenomenon evaluated the beneficial effect of the vascular bioink formulation and its potential in further development of a functional 3D printed vascular system.